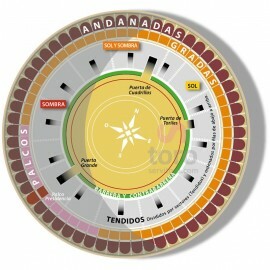 Servitoro, Official Box office of bullfighting tickets sales at Estepona bullring. Speaking of Málaga is to talk about summer and bulls, indisputably. 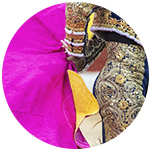 Throughout the province fairs are held, especially in summer, with bullfights as a fundamental and historical part. 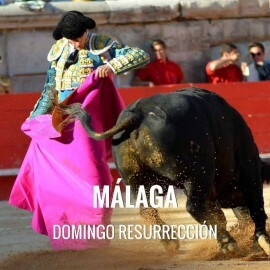 The main ones are the August Fair of Málaga, celebrated in La Malagueta, bullring of first category; or the traditional Pedro Romero Fair in Ronda. 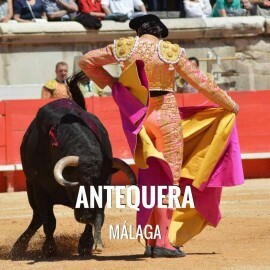 Antequera celebrates its major festivities with the Royal Fair of August, declared Fair of Tourist Interest of Andalusia and Royal because its history goes back to a privilege of King Fernando VI. The proclamation from the Palacio de los Remedios, a day in the center and at night in the Fairground, with its lighting, attractions, fireworks...and bullfights that have given great importance to the town. The month of August is the date of the big days, the Royal Fair of August. 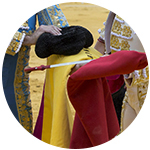 By the third week, it usually consists of two bullfights and one bullfight. Address Antequera Bullring: Carretera del Albergue s/n, 29200 - Antequera, Málaga. 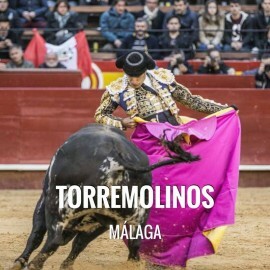 In 2018 a Spring Bullfight was held in which Roca Rey and Ginés Marín, with bulls from Santiago Domecq, triumphed. In the Royal Fair of August there was a bullfight with horses, cattle from Luis Terrón where Andy Cartagena, Diego Ventura and Andrés Romero came out on shoulders. In the Goyesca, with the irons of Fermín Bohórquez and Garcigrande, José María Manzanares and Fortes opened the Main Door. We regret to inform you that, currently, Servitoro does not have tickets for this show, but we recommend other bullfighting experiences a few kilometers from Antequera. If you need more information you can contact us by email clientes@servitoro.com or by calling 963308593 (Hours: Monday-Friday 9.00am - 8.00pm). Servitoro, bullfighting news of Antequera Bullring, Málaga. Fuengirola celebrates its great Fair and Festivals from October 6 to 12, in honor of its patroness and perpetual mayoress: the Virgin of the Rosario. The Fairground brings together all the celebrations in the booths, with singing, dancing, gastronomy and a special role of the horse. Within the framework of the Fair and Festivities of the Virgin of the Rosary a major bullfight is celebrated with bullfighting figures. 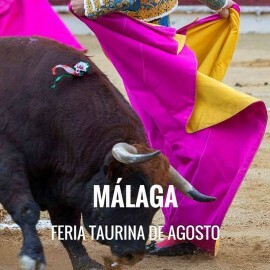 There is also a bullfight with horses celebration in the month of August. How to get from Málaga to Fuengirola: Fuengirola is located 32 km from Málaga. How to get to Fuengirola. 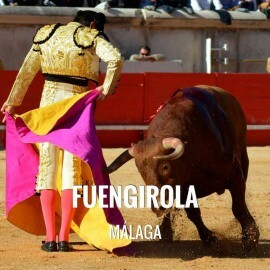 Address Fuengirola Bullring: Camilo José Cela 12, 29640 - Fuengirola, Málaga. Finito de Córdoba, Padilla and El Fandi starred in the 2018 poster, with bulls from Sancho Dávila and Conde de Villafuente Bermeja. The 'Ciclón de Jerez' and El Fandi came out on shoulders after cutting three ears each one. 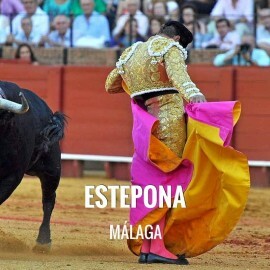 We regret to inform you that, currently, Servitoro does not have tickets for this show, but we recommend other bullfighting experiences a few kilometers from Fuengirola. Servitoro, bullfighting news of Fuengirola Bullring. Bullfight tickets to Málaga, all bullfights organized in the Bullring of Málaga. August Fair 2019. Fast and secure online ordering. Immediate information of all the Bullfighting Festivals. A virtual store with the most powerful technology and design of the sector. Easy navigation, transactions with high security and confidentiality of data. August Fair: dates to be confirmed. Servitoro, Official Box office of bullfighting tickets sales at Málaga bullring. Bulls Tickets to Marbella for all organized bullfights in the Bullring of Marbella, Málaga. 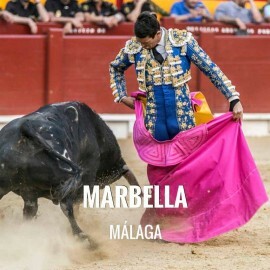 Festival of Marbella August 2019. Marbella is to 61,4 km from Málaga (49 minutes' drive from Málaga). How to get here | Driving Direction. August. Bullfighting festival (still needs to be confirmed). 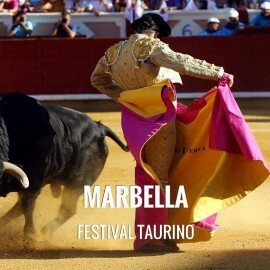 Request information and advance tickets booking for all bullfighting events in Marbella: You may book in advance and be the first to purchase tickets to any event at the Marbella Bullring. Servitoro delivery service offers the User the opportunity to acquire the tickets in a safe and easy manner from his/her home address, avoiding long queues before ticket offices. Complete the request information about Marbella. Once we have the tickets On sale, we send you a booking confirmation e-mail for make your definitive order. Servitoro offers to non-residents the opportunity to deliver the tickets to hotels, hostels and similar during their stay in Spain and coinciding with the bullfight event (2-4 days before the show). Servitoro, Official Box office of bullfighting tickets sales at Marbella, Málaga bullring. Bullfight tickets to Ronda, all bullfights organized in the Bullring of Ronda. Feria de Pedro Romero 2019. Fast and secure online ordering. Immediate information of all the Bullfighting Festivals. A virtual store with the most powerful technology and design of the sector. 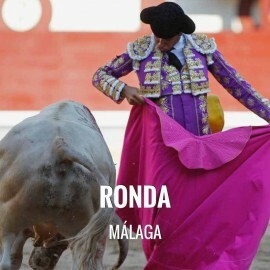 Easy navigation, transactions with high security and confidentiality of data.Ronda is to 102 km from Málaga (1 hour 26 minutes' drive from Málaga). How to get here | Driving Direction. Pedro Romero festivities: date to be confirmed. Bullfight tickets to Villanueva del Rosario, all bullfights organized in the Bullring of Villanueva del Rosario,Málaga. Setember Fair 2019. Fast and secure online ordering. Immediate information of all the Bullfighting Festivals. A virtual store with the most powerful technology and design of the sector. Easy navigation, transactions with high security and confidentiality of data. Villanueva del Rosario is to 43,6 km from Málaga (39 minutes' drive from Málaga). How to get here | Driving Direction. 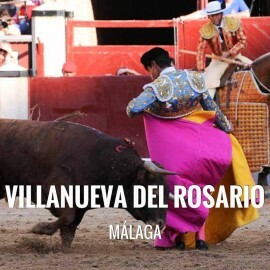 Request information and advance tickets booking for all bullfighting events in Villanueva del Rosario: You may book in advance and be the first to purchase tickets to any event at the Villanueva del Rosario Bullring. Servitoro delivery service offers the User the opportunity to acquire the tickets in a safe and easy manner from his/her home address, avoiding long queues before ticket offices. Complete the request information about Villanueva del Rosario. Once we have the tickets On sale, we send you a booking confirmation e-mail for make your definitive order. Servitoro offers to non-residents the opportunity to deliver the tickets to hotels, hostels and similar during their stay in Spain and coinciding with the bullfight event (2-4 days before the show). Servitoro, Official Box office of bullfighting tickets sales at Villanueva del Rosario, Málaga bullring.